The best way to get to know a community is by scheduling a tour. 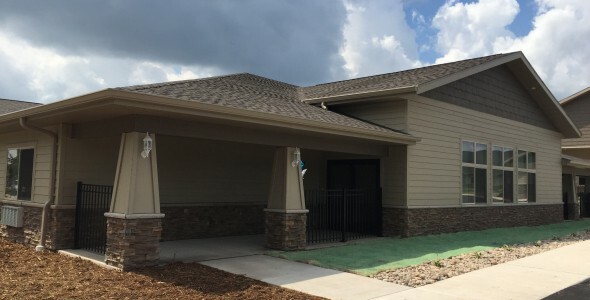 See the facilities, meet the staff and residents, and get a feel first hand what it's like to live at Care Partners Assisted Living & Memory Care in Appleton Memory Care. You will find a friendly home-like environment that caters to your needs and interests at Care Partners Assisted Living and Memory Care in Appleton, Wisconsin. Set in an idyllic Midwestern country environment, we offer the choices and support to create the quality of life that supports individual choice and dignity. Care Partners and Country Terrace operates assisted living facilities throughout Wisconsin. Our leadership and professional staff recognize the importance of maintaining life choices and independence throughout the aging process. Together we work to create the perfect-home environment, complete with the care services and amenities to maximize your comfort. Our community offers a variety of well-lit private and semi-private rooms. Each apartment has in-room cable television, air conditioning and a private bathroom. Common areas include a media room, as well as on-site beauty salon and barber shop. Care Partners Assisted Living and Memory Care in Appleton offers nutritious home-cooked meals every day in our restaurant-style dining room. Our staff crafts a host of programs and activities, keeping residents physically, mentally and socially active. Residents can expect events such as guest lectures, religious services and cooking events. Our compassionate staff assumes the chores and burdens of home maintenance and housekeeping. Scheduled transportation is available to get you to doctor’s appointments, local shopping trips or cultural events. At Care Partners Assisted Living and Memory Care in Appleton, we are focused on providing wellness solutions to our residents so they can thrive and live a full life throughout their retirement. Security is assured by 24-hour staff, available to assist and respond to daily needs. We are also there to assist with activities of daily living such as mobility, grooming and bathing. Additionally, residents have access to home health care services to administer more advanced care. Visit us at Care Partners Assisted Living and Memory Care in Appleton and see how we can care for you or your loved one.